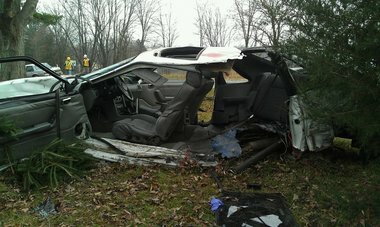 LANSING, MI — How much marijuana makes someone too impaired to drive a vehicle? The answer isn’t easy to find, but it’s one more than 100 lawmakers are set on finding. The Michigan House are seeking a study to find the “magic number” of how much marijuana in a driver’s blood means the person is impaired, a decision that currently falls to Michigan courts and juries. While supporters look for a threshold based on a standard measurement of active THC (the main ingredient in marijuana) per milliliter of blood to catch drivers stoned to impairment, detractors say it’s not that simple. Marijuana interacts differently with a person’s body compared to alcohol, critics say, making it harder to measure for and determine impairment. He believes Michigan can be a pioneer and the first state to set a limit backed by science. “If we don’t get it correct, credibility wise, what’s the point?” he said. The bill describes a governor-appointed commission to study and find the “magical number,” Lucido said, that would include a forensics toxicologist, a physician, a state police representative, a medical marijuana patient, and two professors from different Michigan public research universities. Chris Lindsey, Senior Legislative Analyst at the Marijuana Policy Project in Washington D.C., said the organization supports the idea of reasonable laws to protect people from unsafe driving due to marijuana impairment, but criticizes “per se laws,” that identify a certain amount of THC in someone’s system. “Spoiler alert, they’re not going to find it,” he said, confident that Michigan will study the issue and determine there is no magic number. The Michigan House passed a bill to study how much marijuana in a driver’s body means the person is driving impaired. 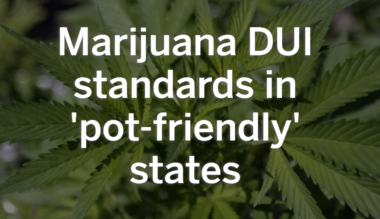 See how 25 other states with legal or decriminalized marijuana deal with the issue. The MPP, formed in 1995, calls itself the largest U.S. organization focused solely on ending marijuana prohibition. The MPP acknowledges impairment can begin when active THC blood levels reach 5 to 10 ng/mL, but says not every driver with that concentration level is impaired and heavy users have higher concentrations in their blood even when sober. “These laws may make some patients have to give up legally driving — even when they are completely unimpaired — if they want to use the medicine that works best for them,” the MPP writes. Triston Cole, the lone lawmaker voting against creating the commission, did not return a message left seeking comment. Several stakeholders agree there are inconsistencies between Michigan’s motor vehicle code and the Michigan Medical Marihuana Act. A House Fiscal Agency report on the bill notes that the Michigan Vehicle Code prohibits a person from driving with any detectable amount of a Schedule 1 controlled substance (including marijuana) in his or her body, while the Michigan Medical Marihuana Act protects a qualifying registered patient from prosecution for operating a vehicle with any amount of marihuana in his or her system, as long as the patient is not under the influence of the drug. Under current law, Lucido, a former defense attorney, said cases of drugged driving have been thrown out because there is no established limit based on a chemical test of bodily fluids to back up a claim in court. “Defense lawyers will pick it apart otherwise because somebody arbitrarily and capriciously picked that number out,” he said. Issues of the laws were highlighted in the May 2013 Michigan Supreme Court decision in People Vs. Rodney Lee Koon, a driver pulled over for speeding in Grand Traverse County who presented an officer a medical marihuana card. Koon was arrested and a blood test showed 10 ng of THC per milliliter of his blood, according to court documents. He was charged with operating a motor vehicle with any amount of a schedule 1 controlled substance in his body. A trial court ruled the defendant was protected from prosecution under Michigan’s Medical Marihuana Act, and the circuit court upheld on appeal. The Court of Appeals reversed the decision, but the Michigan Supreme Court overturned, ruling the defendant was protected. The Supreme Court decision noted that the court was often being asked to weigh in on the issue relating to medical marijuana and driving under the influence, and suggested the legislature consider adopting a “legal limit,” like the one for alcohol, to establish when a registered patient is outside the MMMA’s protection. Lucido said people have the right to use marijuana for medication, but says they shouldn’t be allowed to “overmedicate” and get behind the wheel of a car. “How high can they be before they’re putting someone’s life at risk?” which Lucido said would be the commission’s job to determine. Michigan marijuana activist Rick Thompson of Flint, author of the Compassion Chronicles, believes the legislature wants to forego the evaluation of whether the chemical THC impairs driving, saying the science is inconclusive. The proposal to study the issue comes on the heels of Michigan Sen. Tom Casperson’s bill, which passed the Senate 28-10 in January, that would create a pilot program in five Michigan counties for roadside testing for marijuana, heroin, cocaine and other drugs. Thomas J. Swift and Barbara J. 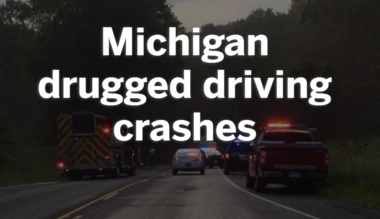 Swift were killed in a May 20, 2013, crash in Escanaba when a driver on a suspended license with THC in his system, careened into the couple’s car, killing them. “This is the worst kind of death because somebody else chooses your fate for you by making selfish, senseless decisions,” the couple’s son, Brian T. Swift, said. The driver, Harley Durocher, was convicted by a jury and sentenced on several counts including reckless driving causing death and two counts of operating while intoxicated causing death. His earliest release date is in December 2019. Casperson’s bill, Senate Bill 434, is a separate but related issue that deals with roadside testing for drugs while Lucido’s bill would impact drug testing for marijuana during a blood draw, typically administered at a police facility or hospital. Swift equates the the issue to the time before the alcohol Breathalyzer, and noted that it’s now a widely-accepted tool to detect drunk drivers. The proposed roadside drug testing pilot program would help define a similar roadside process for other substances, he said. “In the meantime, we shouldn’t not act,” he said. Thompson has been a vocal critic of both bills. If the THC threshold bill, referred to the Committee on Judiciary April 27, passes and becomes law, it will be a while before the study is complete, the House Fiscal agency reports. — Brad Devereaux is a public safety reporter for MLive.com. Follow him on Twitter and Facebook.